Serena Williams speaks during the 91st Annual Academy Awards rehearsals on February 23, 2019 in Hollywood, California. 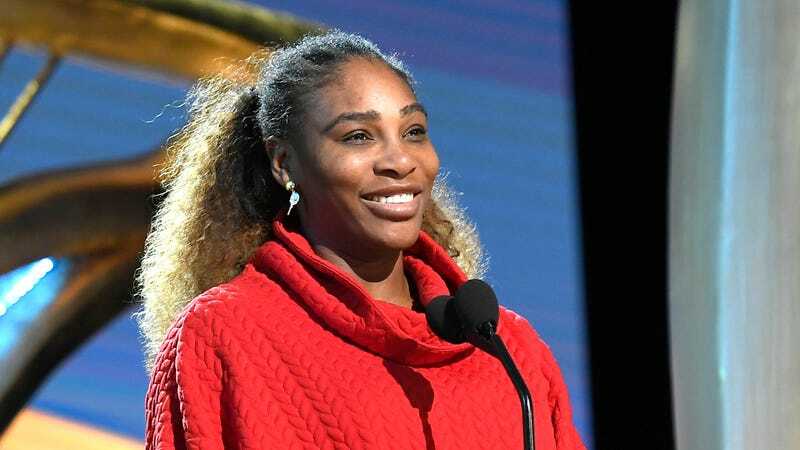 She’s a happily married woman, but Serena Williams is teaming up with one of the leading dating apps for women—specifically to benefit women of color. As reported by Black Enterprise (BE), Williams recently joined Bumble as a global adviser for the app—which now includes social and business networking components. All are centered around the theme of encouraging women to “make the first move,” one of the unique (and winning) features of Bumble’s format in the dating app landscape. The partnership was initially announced during a 2019 Super Bowl commercial. The Bumble fund was created by Bumble founder and CEO Whitney Wolfe Herd with a goal of “ending bias in venture capital,” with a special focus on businesses led by women of color and underrepresented groups, as reported by BE. While both the size of the Bumble Fund and Williams’ initial investment remain undisclosed, to date, the fund has invested in Beautycon, venture capital fund Cleo Capital, Female Founders Fund, AI-powered platform for founders Alice, on-demand fitness platform Gixo, criminal justice reform-focused tech company Promise, and diversity and inclusion training system Translator. Investments have ranged from $5,000 to $250,000, with an average of $25,000, reports Fortune.